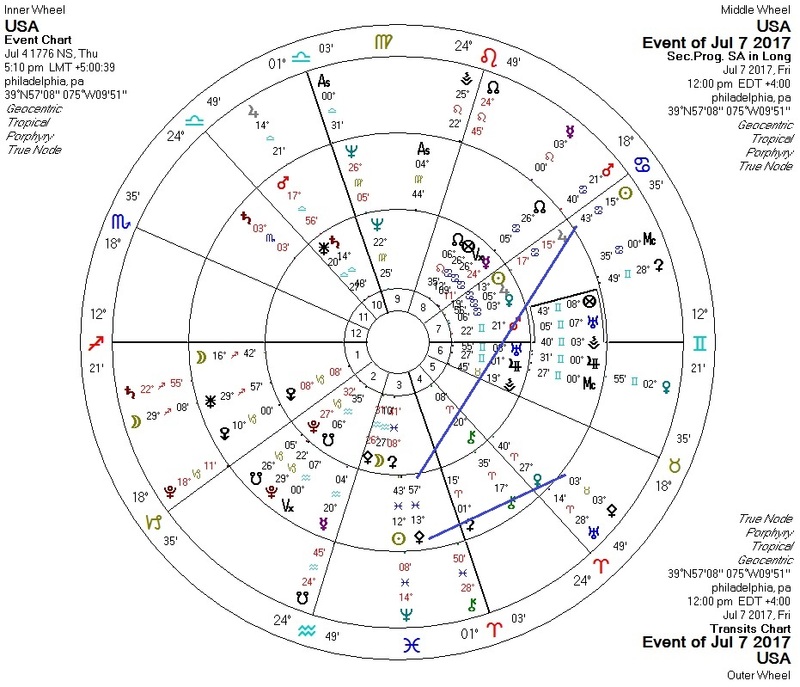 In the charts of peace-treaty events, one can generally find transits of the Sun, Mercury, the North Node, and/or Pallas against the natal or progressed Pallas of the relevant nations. The event chart by itself will also generally have the Sun, Mercury, and/or the North Node in aspect to Pallas. This week's US-Russia cease-fire deal over Syria is a case in point. 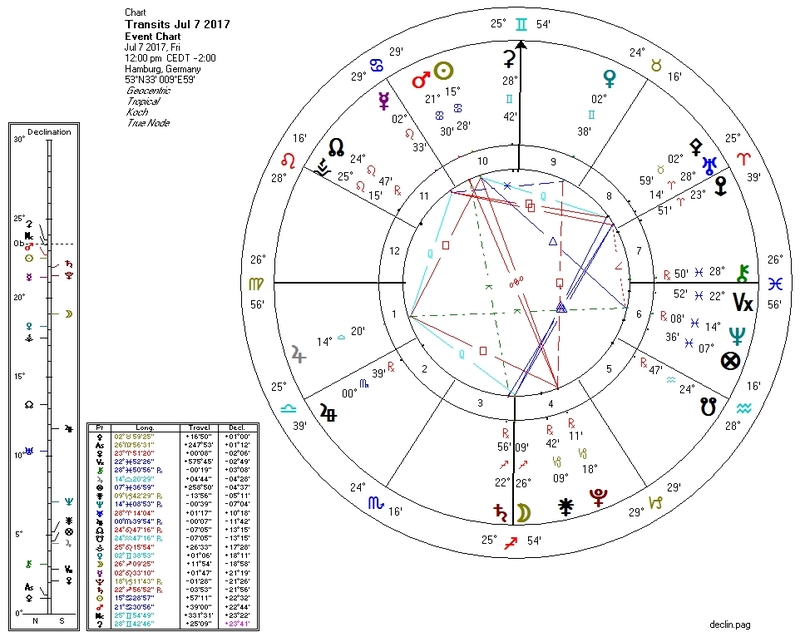 The event chart has Mercury square Pallas and Sun (and also a Sun-Venus-Jupiter aspect triangle which some astrologers associate with peace treaties). Transiting Sun is trine the US progressed Pallas and transiting Pallas is novile US progressed Pallas. 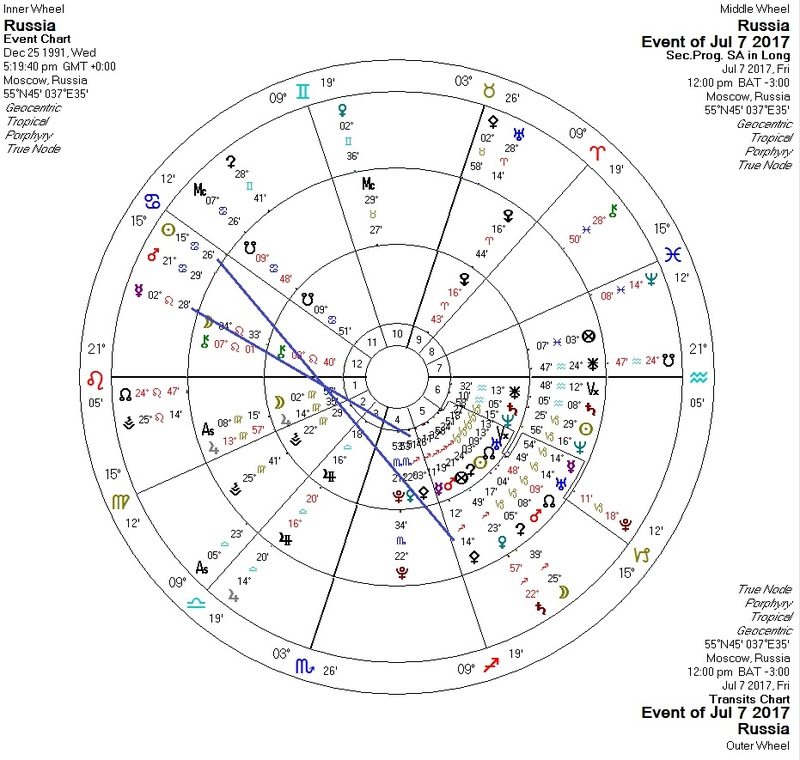 Transiting Sun is trine Russia progressed Pallas and transiting Mercury is trine Russia Pallas.